Eighth in a series of “throwback” posts. 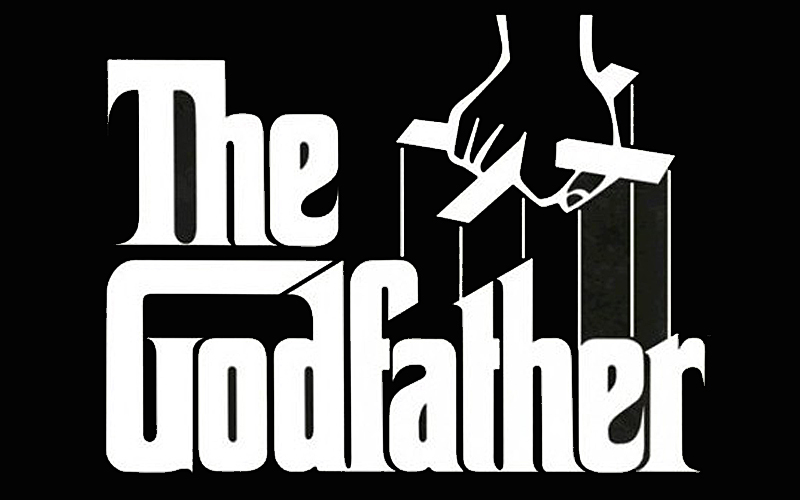 The Godfather is the movie that sparked my interest in criticism. When I saw it, I went to the library and started reading volumes from the Contemporary Literary Criticism series. This might be my first written review – in any case, it’s the earliest one I still have. Some of the language is lifted from other critics – I cited Pauline Kael, but I doubt I came up with the “brothers as aspects of Pacino’s character” idea on my own. I did attempt to describe the greatness of the baptism montage sequence, but in many cases I just said something was great without explaining why; I admitted I didn’t really know – that’s why the paragraphs end before they build much steam. And so, the essay that started it all. Once, long ago, The Godfather Saga was playing on TV. I knew immediately that it was different from the movies I’d grown up on. Star Wars had been my thing, but Francis Ford Coppola’s masterpiece was light years beyond that. Why? I’m still trying to figure it out. The pictures are beautiful. Pauline Kael wrote that the scenes in Vito Corleone’s study contain infinite shades of brown. I don’t know if Depression-era and World War II-era New York really looked the way they do in the Godfather movies, but it’s how they will look in my imagination from now on. The acting is superb. Al Pacino gives a fantastic performance, showing how a smart, idealistic young man can gradually betray all of his values, even as he thinks he is upholding them. James Caan, John Cazale and Robert Duvall play his brothers, each a distinct personality that represents aspects of Pacino’s character. And of course, Marlon Brando plays Vito, The Godfather. The writing works on many levels at once, considering family loyalty, the immigrant experience in America, personal ethics, and it’s set in the middle of a gangster themed potboiler. Although the plot moves slowly, it’s never boring. The director pulls off one of the great sequences I’ve ever seen, near the end when a baptism is shown, intercut with scenes of various murders. The voiceover from the baptism continues on top of everything, with a man publicly denouncing evil as we see the evil being committed in his name. Image is played against reality, and we know that the real death is actually Michael Corleone’s soul. Sometimes when you’re in love you just know it. I don’t have the vocabulary yet to completely explain how this movie affects me, but I feel like I’ve only begun to watch movies. Posted in Movies and tagged Movie Reviews, The Godfather, Throwback Reviews. Bookmark the permalink.